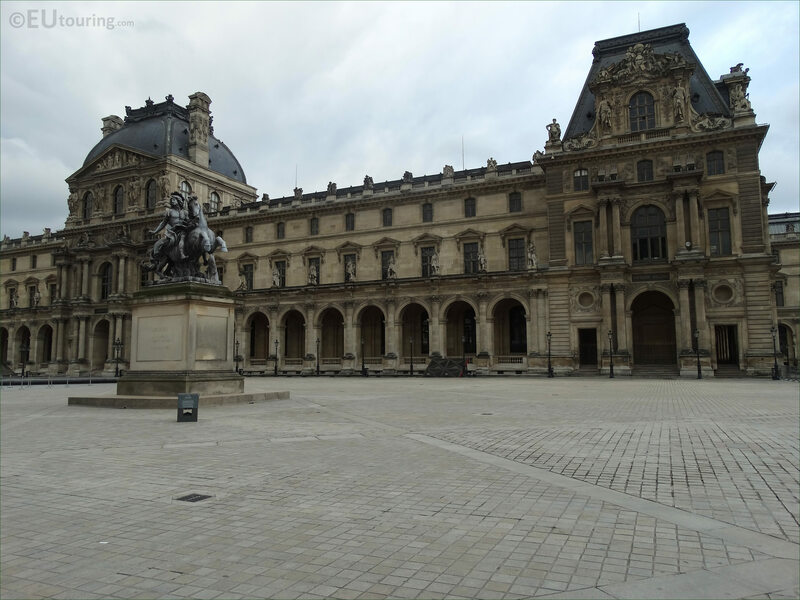 We were in the 1st Arrondissement of Paris at the Musee du Louvre, when we took these high definition photos showing an equestrian statue originally designed by Gian Lorenzo Bernini to depict King Louis XIV. Gian Lorenzo Bernini was born in 1598 and became a prominent Italian sculptor and architect, who was originally requested by King Louis XIV to come to Paris, France and design a new wing for the Palais du Louvre, however, his design was rejected, but he was commissioned to produce a statue of the king, and this first HD photo shows a copy of this. But getting back to the very beginning, the French Academy in Rome had recently been set up with the aid of Jean-Baptiste Colbert, the Minister of Finance under King Louis XIV, and he was put in charge of liaising with Gian Lorenzo Bernini when back in Rome for the production of the equestrian statue, which was approved after clay models had been sent to France, so work on the marble version was started. 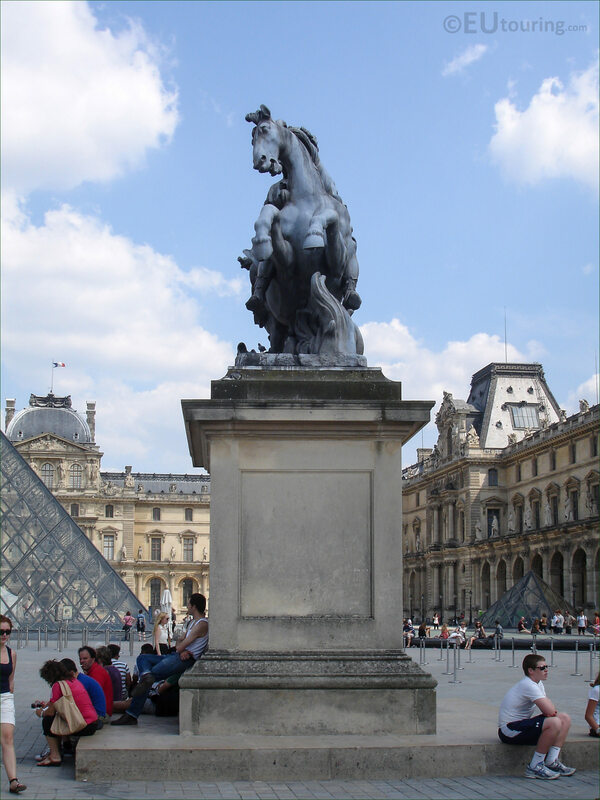 The equestrian statue of King Louis XIV was sculpted from one single block of Carrara marble, and was completed in approximately 1677 by Bernini and some of his students, however, it did not arrive in France until 1684, where it was to be placed in a prominent position within the grounds of the Chateau de Versailles, yet the king was so displeased with the result that it was going to be destroyed, then he changed his mind so that a sculptor could alter it. 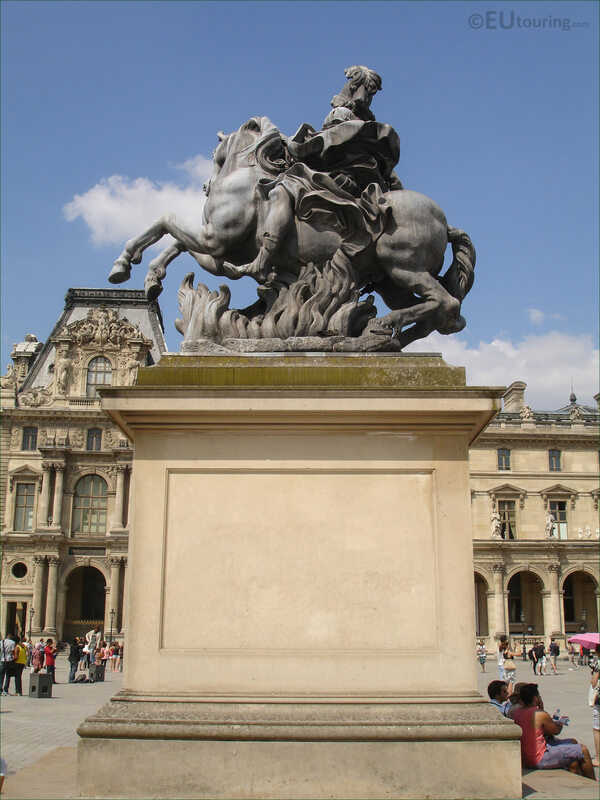 Francois Giradon, who was born in 1628 and studied to become a French sculptor in his home town of Troyes before going to Paris and then to Rome, was commissioned to change the Equestrian statue of King Louis XIV after he had already executed other statues for the gardens of the Chateau de Versailles upon his return to Paris. 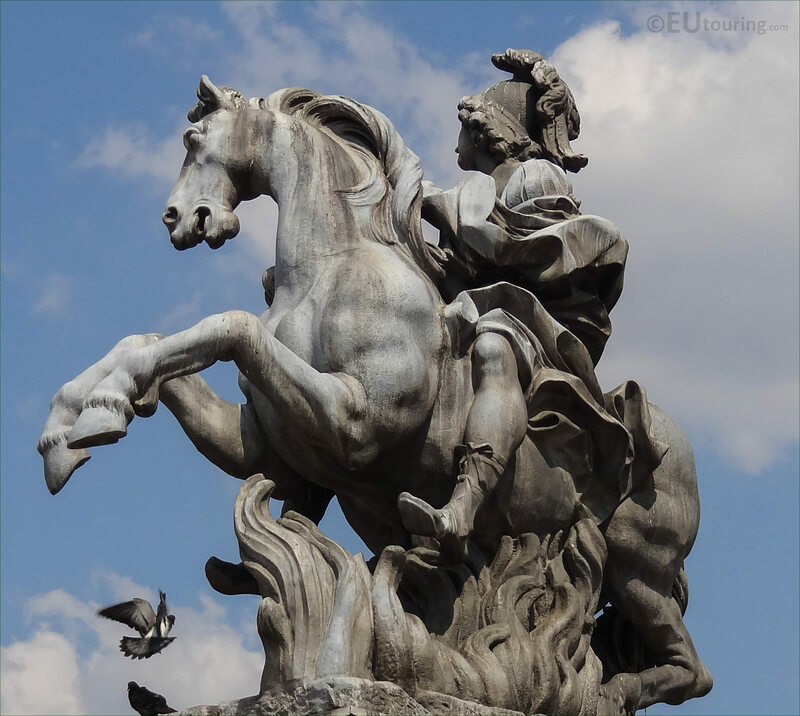 The equestrian statue was altered to depict a a mythological Roman warrior and hero called Marcus Curtius, with the features of the face changed, a Roman helmet added along with the flames beneath that you can see in this photograph, depicting the Hill of Glory, which according to legend is where Marcus Curtius leapt into with his horse, and then the statue was placed at the very end of the grounds of Chateau de Versailles. 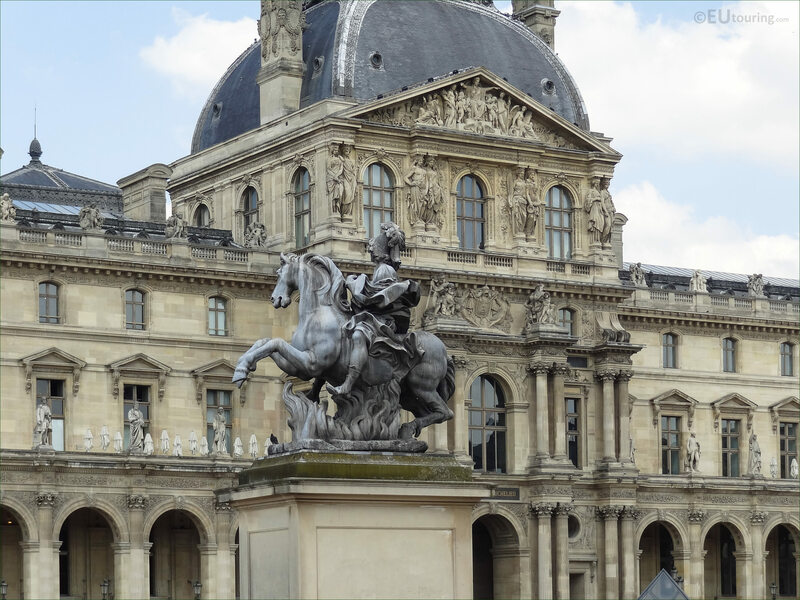 Unfortunately, over time the original statue by Gian Lorenzo Bernini and the alterations made by Francois Girardon slowly began to deteriorate and was also severely damaged by vandals, which led to its complete restoration in the 1980s that took around eight years to complete and the original is now held within the collections of the Chateau de Versailles. 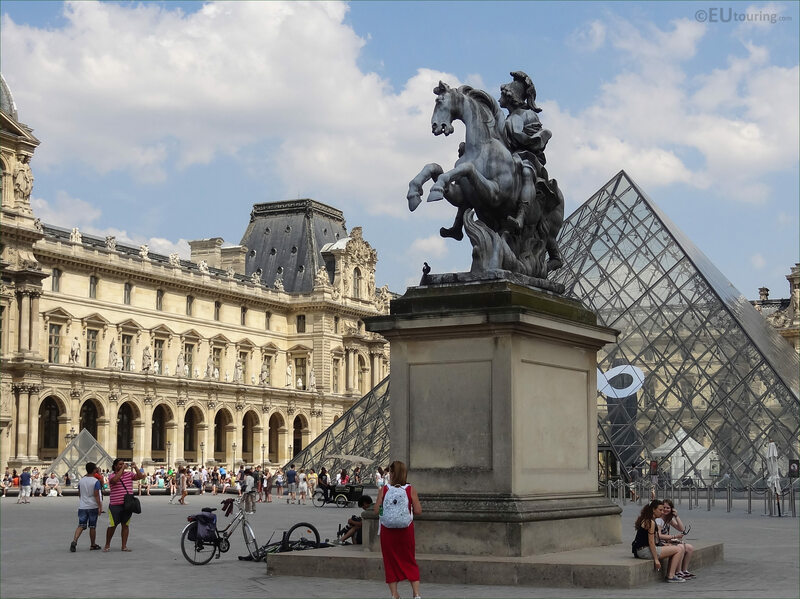 So during the grand renovation project for the Musee du Louvre was being implemented including the famous modern glass pyramids, the architect of these, I M Pei, requested that a copy of this particular equestrian statue to be produced, so that it could be placed within the courtyard of The Louvre called the Cour Napoleon. 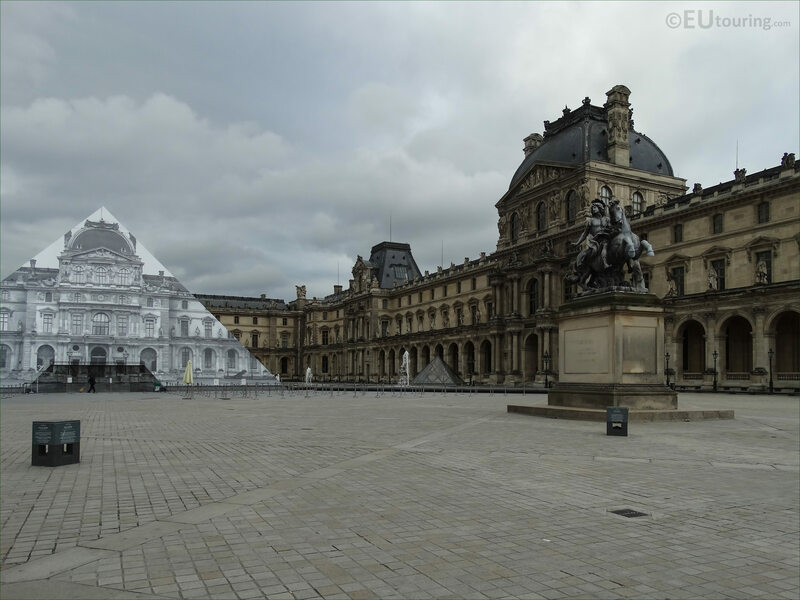 After consultations and the plan was approved for The Louvre, the officials at Versailles eventually agreed to a copy being produced for the Cour Napoleon, which was cast in lead according to some sources, although others state bronze, plus another was cast to replace the original at Versailles, as the restored original version of the equestrian statue is too fragile to continue being outside. 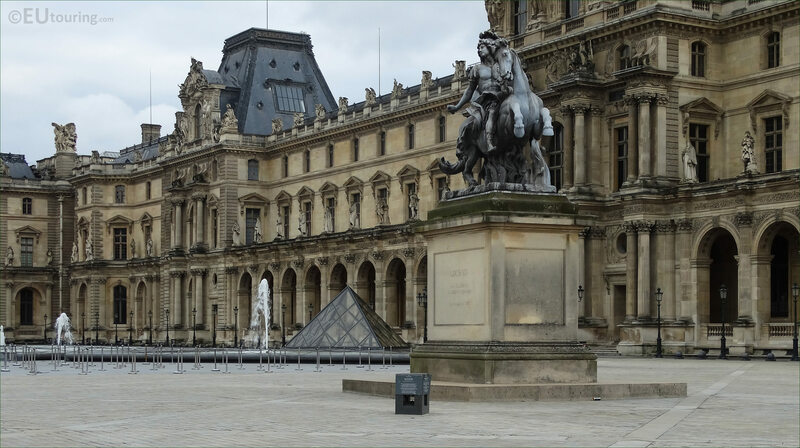 And this particular lead equestrian statue positioned on the top of a tall pedestal, still usually referred to as the equestrian statue of King Louis XIV, is now the only statue located within the courtyard by the main I M Pei pyramid that now serves as the main entrance to the museum, which you can see in this photo, that had been covered for a temporary exhibition. 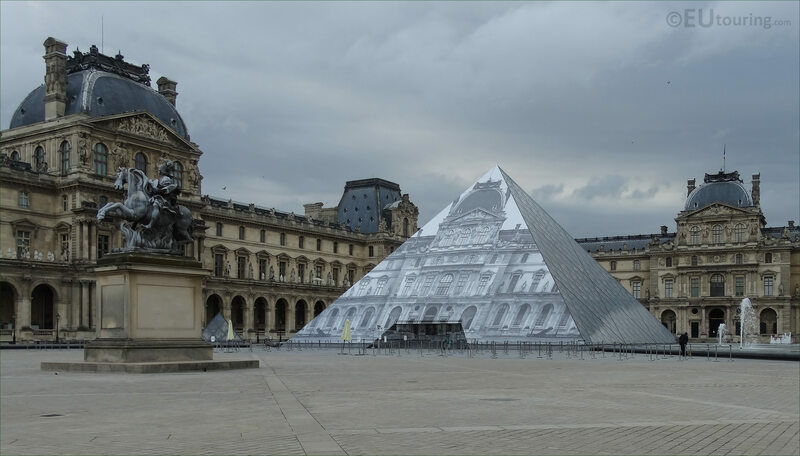 However, to coincide with an exhibition about Versailles that was being held within Jackson, Mississippi, USA, a third copy of the equestrian statue was cast, but this time in crushed Carrara marble powder dust, which remained in this state after the exhibition finished. 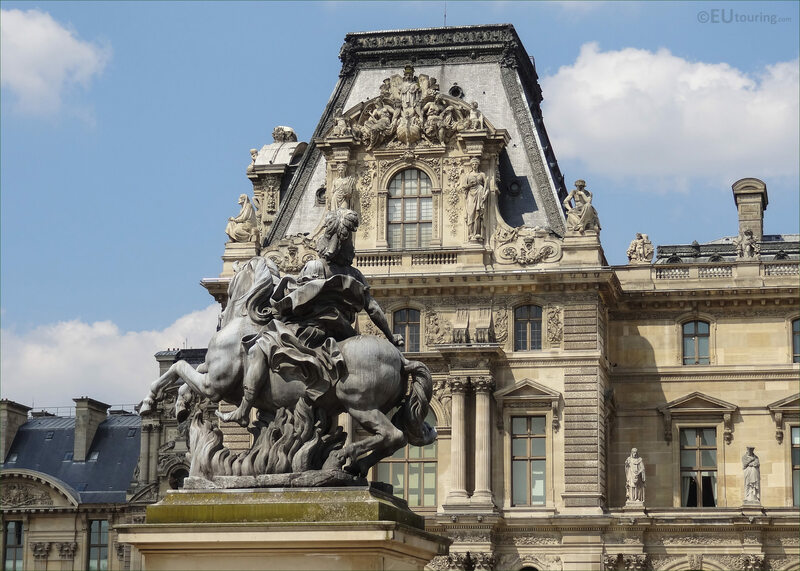 But here you can see another angle of the equestrian statue of King Louis XIV by Gian Lorenzo Bernini, or the Roman hero Marcus Curtius by Francois Girardon, positioned the Musee du Louvre courtyard, located in the 1st Arrondissement of Paris.